* Mariel's timeless classic rhinestone earrings measure 2 1/2" h and are plated in silver with genuine clear crystals. * The top sellers have a stunning clean design to enhance prom, wedding or special occasions with sophisticated rhinestone shimmer. 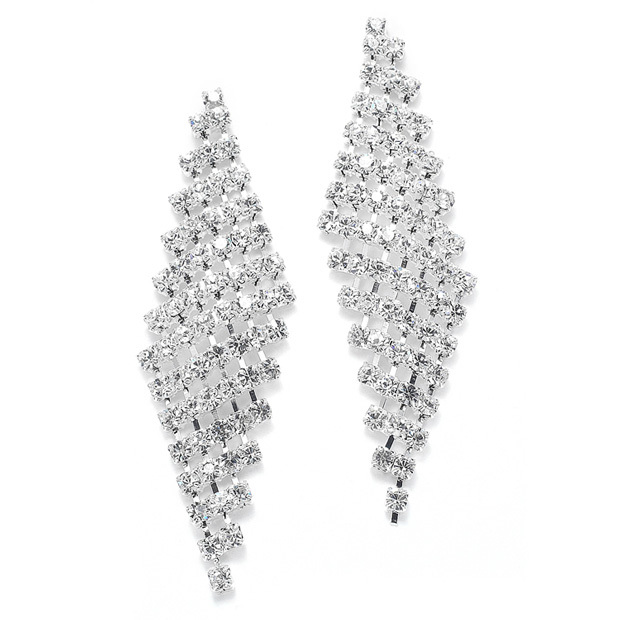 * Every retailer's jewelry collection should have these timeless classic rhinestone earrings.